The Best Safe Investments Make a Happy Investor: Are UAE Investors Willing to Take on More Risk? Are UAE Investors Willing to Take on More Risk? 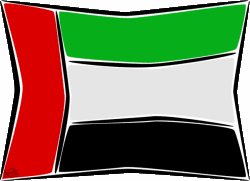 Investors in the UAE (United Arab Emirates), are now starting to realize that they may have to take on additional risks in their portfolios on order to obtain positive returns during unstable market conditions. A recent study by Durable Portfolio Construction Research Centre of Natixis Global Asset Management (NGAM) shows that 57 per cent are willing to increase the level of investment risk in comparison to the global average of just 44 percent. While UAE investors understand the need to be careful with the unstable nature of the global economy, particularly in the West, they still realize that this is no time to be complacent and sit around and wait for things to vastly improve; before making investments. The study also revealed some other interesting statistics. For example, only 35 per cent of UAE investors say they actually have a plan in place, to help them reach their financial goals. Couple that statistic with the fact that 80 per cent of UAE investors say they do not have a strong investment knowledge, and what is shown is that there is an urgent need for UAE investors to work more closely with financial advisers. This is a huge opportunity for financial firms to capitalize on the inherent need for their services in the region and they must do a better job to encourage investors to seek their advice and strategies. It would seem that now, more than ever, it is critical that investors seek financial advice in order to give themselves the best chance of achieving long term investment success. UAE investors, like so many others around the world, are concerned with generating the biggest returns on their investments and many are now realizing that they may have to seek professional help in order to increase their odds. More and more UAE investors are discovering that when it comes to investing, it is always recommended to learn about investments before making a commitment, of any kind or size. It is paramount that inexperienced investors seek out the advice of experienced investors and financial advisers, to avoid unnecessary risk and reach their goals.